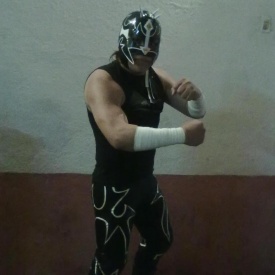 Fuerza Guerrera trainee who appeared in IWRG as part of the school vs school feud with IWRG's FILL in late 2012 and early 2013. Hasn't seemed to wrestle anywhere since that feud ended, but it's possible he found another new way to spell his name. This page was last edited on 31 May 2013, at 08:19.